When Ryan Dodson’s family started growing and things were getting tough at the Big Five accounting firm where he worked, the CPA began considering a change. He decided to put his experience and love of numbers to work for himself as a Liberty Tax franchisee. The tax business is reliable. Plus, there is an added perk – freedom and flexibility. Who wouldn’t want that? Flexibility is one of the top things workers crave, after competitive pay and benefits, according to a study by Ernst & Young. And, in a survey by WorkplaceTrends.com and CareerArc, 75 percent of employees ranked workplace flexibility as their top benefit; 45 percent said they do not have enough time each week to do personal activities. Flexibility is a huge driver for Liberty Tax franchisees. They understand that flexibility is built into the tax business. Naturally, the business requires care and feeding throughout the year. The work is intense for the first four months of the year, but the pace shifts in the off-season. In that time, Liberty Tax franchisees can go with the flow. They can shape the off-season to fit their mold. That could mean spending more time with family, taking an extended vacation, or just relaxing in the backyard. For Ryan, who is now Chief Strategy Officer at Liberty Tax, the off-season is the time of year for franchisees to do whatever they want. Like Ryan, the other leaders at Liberty Tax understand better than most what the seasonal business offers. That’s because all three top leaders at Liberty Tax are franchisees -- something you don’t find in many franchise organizations. CEO Nicole Ossenfort became a Liberty Tax franchisee in 2002, a year before Ryan opened his first franchise. She started with one office and watched her business and her success grow. 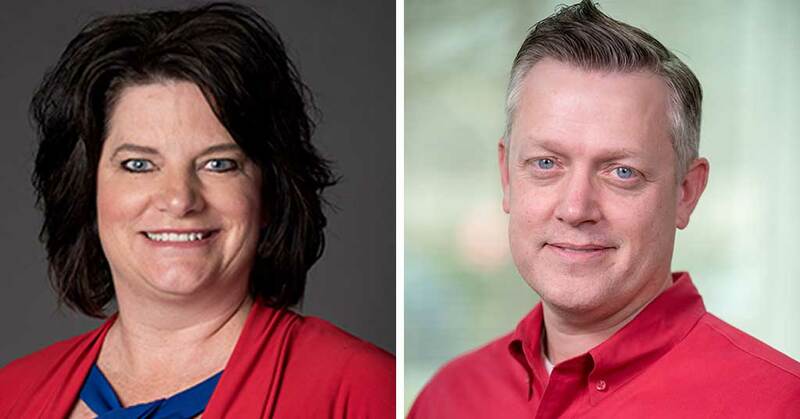 Nicole, Ryan, and Chief Operating Officer Shaun York have made it their goal to keep the franchise on the cutting edge and to continue to create “happy, successful franchisees” who enjoy the freedom and flexibility that comes with being a part of the Liberty Tax family. Learn more about freedom and flexibility and the Liberty Tax franchise opportunity. Visit LibertyTaxFranchise.com.